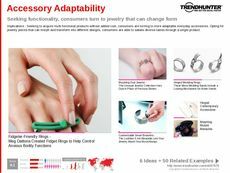 Find Better Ideas, Faster ® with a custom luxury jewelry trend report, our PRO Dashboard and 80+ categories of premium trend reports. 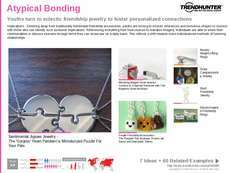 The Luxury Jewelry Trend Report compiles a curated collection of intriguing jewelry designs that offer consumers a luxurious experience. We closely examine shopper preferences when it comes to the high-end jewelry market, and based on recognizable patterns, we summarize which ideas will perform favorably in the future. 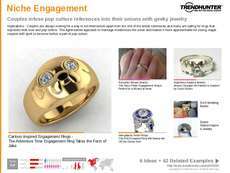 We also look into new market areas of opportunity when it comes to luxury jewelry. 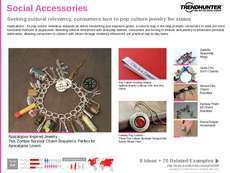 Stay informed thanks to our in-depth research when it comes to new materials, designs and pieces of jewelry for both male and female consumers. Jewelry designers, marketing executives and retail professionals working within the jewelry industry will be provided with a roadmap towards best practices and winning market strategies. 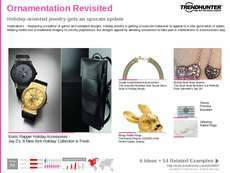 Trend Hunter's Luxury Jewelry Trend Report will keep professionals ready to innovate, based on proven luxury market trends now taking off within the jewelry industry.